- FrancesCassandra: UK fashion, beauty and lifestyle blog. 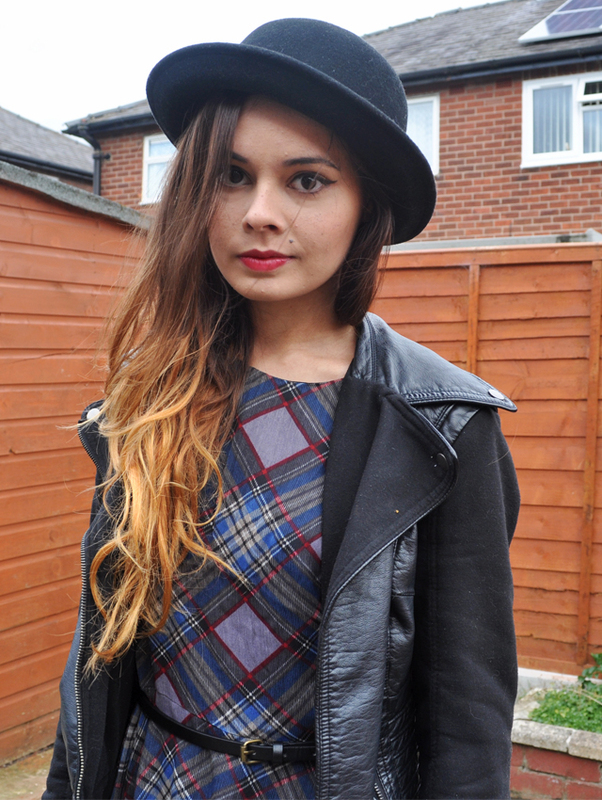 : Outfit: Tartan. You look gorgeous, loove this look and your hairs getting so long. i love your dress with the hat and petty coat but i'm not sure about the shoe! check out my blog to win tickets to see azealia banks in liverpool! Fab outfit, love those shoes! Fabulous outfit! The pieces work perfectly together. I usually despise Tartan, it reminds me too much of my school skirts. But I love the cut of the dress and the colours. I guess things can surprise you. oh, wow those shoes are amazing. I need them now. Absolutely gorgeous! I LOVE how you've styled the dress, I think I might need to nab one too. You look fabulous Frances, the tartan looks amazing!! The shoes are also devine! I would definitley not be able to pull the hat off but you do! Thanks for sending your link on bbloggers chat! I like your blog, just started following with bloglovin'. I think the dress looks great on you and you styled it very well! LOVE your dress and shoes! That dress is perfect for winter teamed with tights and boots. Gorgeous!